The Hunger Games trilogy has been so heavily hyped that everyone probably knows the basic set-up by now: in what remains of a future, dystopian America, now known as Panem, teenagers from each of Panem's deprived districts are selected to fight to the death on live television for the entertainment of the Capitol, which houses the elite ruling classes, as an endless punishment for a district uprising several decades previously. Sixteen-year-old Katniss Everdeen, unable to bear the prospect of her soft-hearted younger sister Prim being sent to the Games, volunteers as a 'tribute' in Prim's place, and finds herself pitted not just against tributes from Panem's other districts, but also against Peeta Mellark, a classmate of hers who claims to have loved her since childhood. Much has been made of the gladatorial plot, and certainly the constant peril in which Katniss and Peeta find themselves, and the sadistic ruses of the Gamemakers devised to make the contest more exciting, make The Hunger Games a gripping read. Its sequel, Catching Fire, is equally tense, bringing in a motley crew of surviving tributes from former Games as well as the rumblings of a rebellion in which Katniss has become inadvertently and reluctantly significant. 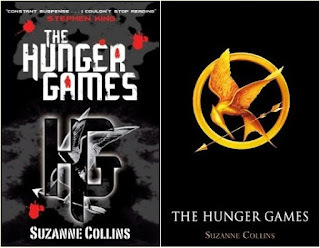 However, the Hunger Games trilogy is also a clever and revealing satire on media manipulation and the nature of celebrity. Not only are the tributes assigned stylists and media coaches, they're also fully aware that their survival depends at least in part on the way the public perceives them. The contrast between life in the districts, where malnutrition and starvation are common and technology barely exists for most of the people, and the privileged life of decadent excess in the Capitol, is also cleverly portrayed. The final book in the series, Mockingjay, is set during a civil war between the districts and the Capitol, triggered in part by Katniss and fuelled by her status as The Mockingjay, presented by the rebels as a defiant figurehead to rally the districts against the Capitol. Despite being every bit as action-packed as its predecessors and about three times as bloody, I felt it was the weakest of the three. By the end of the final book, Katniss seems to have undergone so many separate periods of physical and mental rehabilitation from her various ordeals that it seems frankly impossible that she's still standing and, as she is repeatedly used as a pawn in both sides' war-games, her story begins to feel a little repetitive. Again, the satire is sharp and there are some great set-piece moments, but Katniss is so damaged, so jaded by now that despite her moments of daring and cunning, spending time in her company as she narrates the story begins to get rather wearing and Mockingjay certainly struck me as the bleakest of the three Hunger Games novels. The quality of Suzanne Collins' prose throughout the trilogy isn't always quite as good as I'd like it to be, and the ability of certain characters to repeatedly survive horrific ordeals stretches the limits of credibility at times, but these are minor gripes. 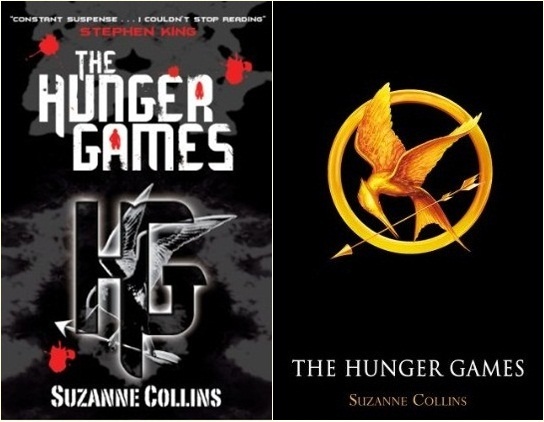 Overall, The Hunger Games novels are gripping, fast-moving dystopian thrillers full of ingenious plot twists and strong, vivid characters who start to feel like your oldest friends. They also raise thought-provoking questions, without patronising their intended audience, and their popularity is well-deserved - and, in comparison to that of Twilight, welcome. I agree about the variable writing, Joanne, Catching Fire takes a hundred pages to get going but you feel willing to forgive Suzanne either because of her memorable characters or because of the way she springs surprises on her readers [the whole point of reading, imho]. The film acting isn't great but for me, an oldie, the film appealed across the generations in a way that those vampires didn't. I loved the books tho' I have an aversion to multiple teenage deaths and prolonged fight scenes. [Spoiler Alert] First of all, I loved all three books of Hunger Games trilogy, but I am glad you mentioned how damaged Katniss had become in Mockingjay. You can clearly feel her soul deteriorating throughout the Mockingjay, and although it is clearly evident that such deterioration is a result of the hunger games and all she's been through, but I can't help but feel sorry for her fate (especially with's Prim's death). I hate to say it, but the Mockingjay has burnt out.